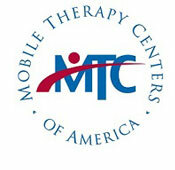 MTC has proudly supported speech/language pathology clinical fellowship placements since 2010. We provide just the right balance of training, support, education, mentorship and multidisciplinary collaboration to incrementally challenge you throughout your fellowship experience. Due to the successful mentorship of our fellows MTC became an externship placement site for Midwestern University and regularly places speech/language graduate clinicians for clinical hours. Complete your supervised independent fieldwork with us! MTC offers a comprehensive supervision experience including 3 types of settings and a diverse caseload. MTC believes firmly in the mentorship of young professionals and welcomes the opportunity to collaborate with students eager to expand their skills and knowledge.